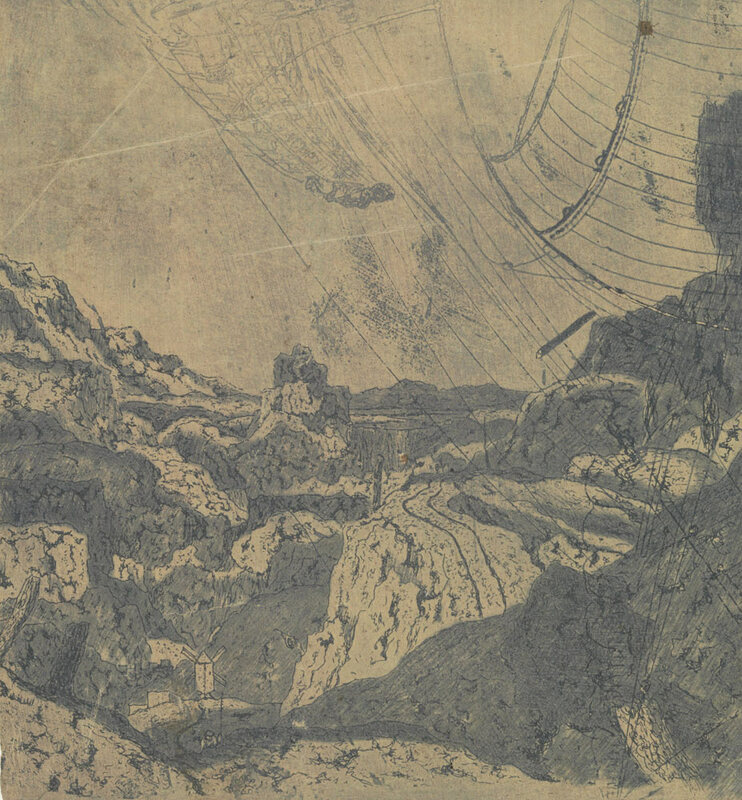 Another fitting example here is that of Hercules Segers, disregarded and yet a great artist…His observation was unwavering and effective, particularly in his design of landscapes and compositions, with imaginary mountains and caves. It was as if he were pregnant with whole provinces, giving birth to them with immeasurable spaces, and picturing them to a marvel in his paintings and prints. Hercules Segers, Rocky Landscape with a Gorge, First Version (ca. 1625–1630), line etching and drypoint printed in blue, on a pink ground; second state of two, 16.6 x 15.4 cm. Rijksmuseum, Amsterdam. Segers presents art historians with virtually every possible challenge: just 18 paintings (6 of them new attributions) and 184 prints from 53 plates are known to exist. His works have been widely misattributed. 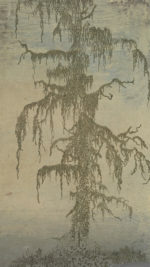 And his processes as a printmaker lie well outside conventional techniques: he rarely printed a plate the same way twice, often painted over his prints, cut down and repurposed his plates for other images, and experimented with grounds and unusual supports, including fabric. Though relatively little is known about Segers’s life, he has been portrayed for centuries as a solitary and misunderstood figure. The catalogue’s authors recognize what a remarkable and curious artist he was, yet place him squarely within the Dutch art world of his time, as an artist following in the wake of Flemish landscape painting of the 16th century, and working in a vibrant artistic milieu of admiring colleagues and a burgeoning middle-class market for easel paintings and prints. The first volume of the two-volume set comprises the introduction, essays and annotated catalogues of the prints and paintings. The introduction opens with an anecdote about the great turn-of-the-century museum director Wilhelm von Bode correctly reattributing a Segers painting that had been assigned to Rembrandt, an allegory for the broader rediscovery of this esoteric artist so long overshadowed by his celebrated younger contemporary. 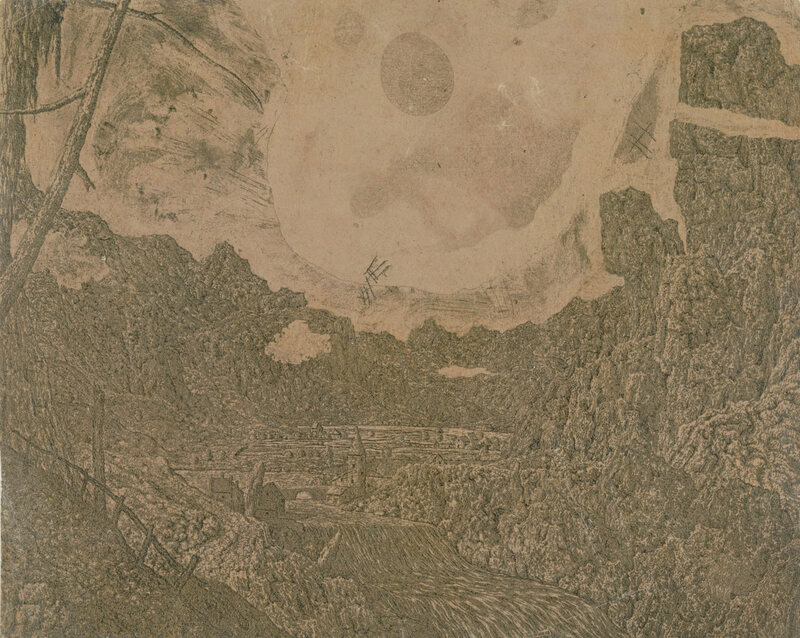 In her essay, Nadine M. Orenstein charts Segers’s appreciation of, and influence on, Rembrandt, particularly in their shared use of drypoint, selective wiping, extensive revision over multiple states, and printing on a variety of supports. An essay by Jaap van der Veen separates biographical facts from legend despite a paucity of sources, and reminds us that Segers earned a living primarily as painter and art dealer, his prints coming into considerable popularity immediately following his death. Huigen Leeflang offers a context for Segers’s experiments in printmaking within the practice of landscape art and the tastes of contemporary collectors in Holland in the 17th century, while wrestling with the chronology of Segers’s work (especially difficult as the artist did not date individual prints). 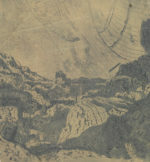 An essay on Segers’s paintings by Pieter Roelofs locates the artist’s themes and subjects in the context of Bruegel and the Flemish landscape tradition, and reminds us that Segers’s imaginary landscapes and ruins exhibit craggy topographies and high vantage points he could not have acquired from observation of the Dutch landscape. 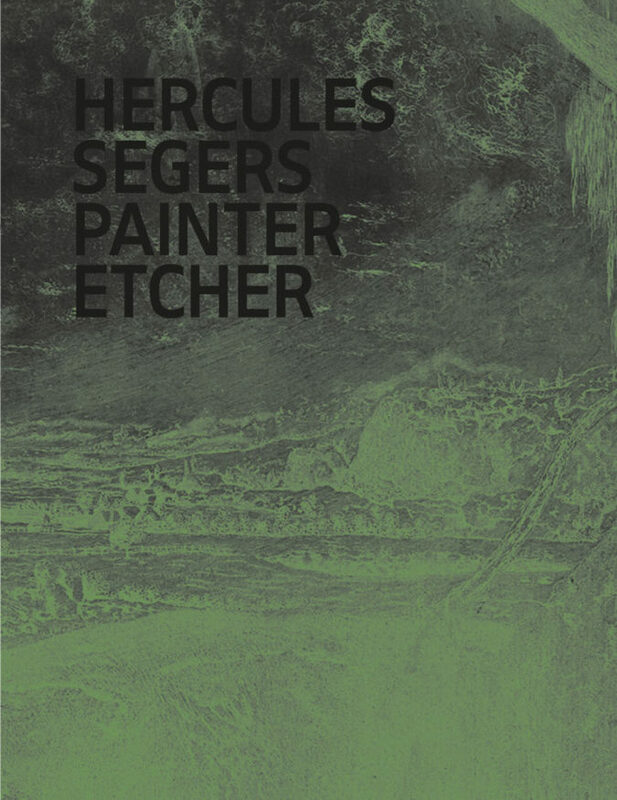 Dionysia Christoforou and Erik Hinterding’s essay offers research on the variety of supports used by Segers for his etchings, and traces watermarks and repairs to his paper and textile supports over the years. Conservator Arie Wallert discusses the relationship between the artist’s painting and printmaking, charting how he combined or exchanged the same materials and motifs in both media, as well as the significant role of color in his prints. 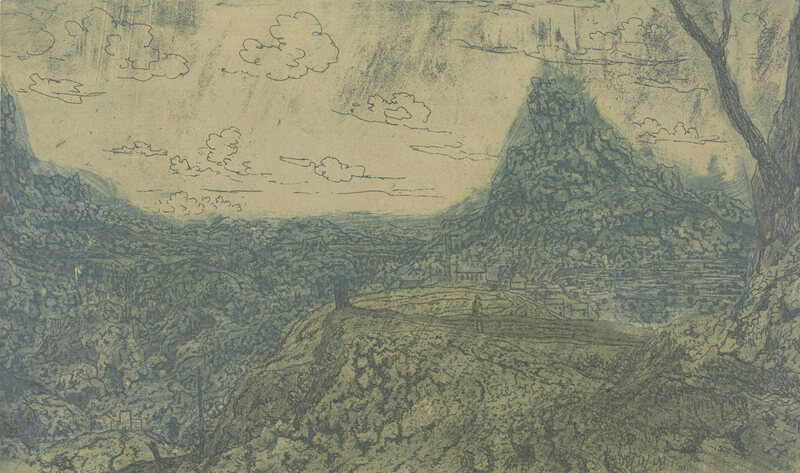 Hercules Segers, Mountain Landscape with a Crest, First Version (ca. 1622–1625), line etching and drypoint printed in green-blue, on a cream tinted ground, colored with brush; second state of two, 11.2 x 19 cm. Rijksmuseum, Amsterdam. 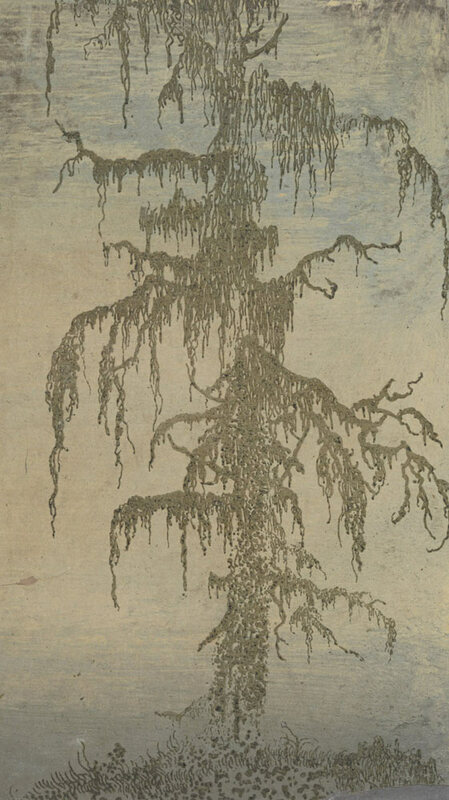 Ad Stijnman painstakingly assesses Segers’s printmaking technique—again paying particular attention to his paper, linen and cotton supports—and reveals that Segers used oriental papers long before Rembrandt did the same, the earliest known example of a European artist using an Asian paper. Stijnman also uncovers the secrets of the artist’s fascinating mark making. Segers’s varied, idiosyncratic graphic syntax of granular patterns and broken textures was highly unusual in his time. It was often the product of chance, as the artist allowed the encroaching of foul biting (acid breaking through or undermining the ground to eat away erratically on the plate) to create unexpected textures; when reusing plates (copper was expensive), he was also willing to exploit them as palimpsests, leaving earlier marks to surface rather than burnishing the plate entirely smooth. In many ways, Segers points ahead four centuries to the experimental techniques of innovative 20th-century printmakers: in addition to his openness to chance events, he is often credited with inventing or advancing the development of lift ground, soft ground and open bite techniques; he experimented with printing from multiple plates, on hand-colored supports, and in white ink on dark ground; and he used drypoint to produce areas of tone rather than as a linear medium as was customary. Hercules Segers, Landscape with a Waterfall, Second Version (ca. 1625–1627), Line etching printed with tone and highlights, on a dark pink ground, varnished; first state of four, 15.2 x 18.8 cm. Rijksmuseum, Amsterdam. 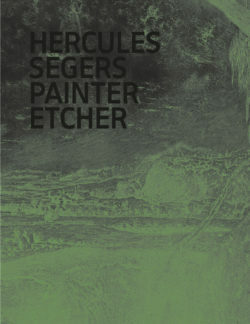 The results of this unprecedented and exhaustive investigation into Segers’s dauntingly unorthodox methods are clearly outlined in the catalogue that follows the essays, where each print and painting is described in detail and illustrated, many accompanied by micrographs, enlargements, X-rays, reflectograms, reconstructions and spectral analyses. Leeflang’s catalogue of etchings breaks the prints down by subject or theme, using the system employed in the 1973 standard work by Egbert Haverkamp-Begemann, with two new works added to the known attributions of his etchings, and identifying additional different states and sequences. Pieter Roelofs’ catalogue of the paintings is equally thorough and comprehensive and does much to enhance Segers’s reputation in that medium. Recent research at the Rijksmuseum has brought the total number of paintings that can be confidently attributed to Segers from 12 to 18. Hercules Segers, The Mossy Tree (ca. 1625–1630), lift-ground etching printed in green, on a light pink ground, colored with brush; unique impression, 16.8 × 9.8 cm. Rijksmuseum, Amsterdam. Given the perception of Segers as having been overlooked by history, it is somewhat surprising to find in the bibliography that so much has been published in the centuries since Samuel van Hoogstraten first wrote copiously (and perhaps apocryphally) on the artist several decades after his death. The first effort to catalogue his work dates from 1829. While Segers has often been included in compendia of 17th-century etchers, his work has never received this degree of scrutiny. The catalogue vastly supersedes the two previous resources in English, by Leo C. Collins (1953) and John Rowlands (1979). Volume two is composed of plates illustrating all 18 known paintings and 184 known printed impressions in full color, most reproduced at actual size. Presented without dust jackets, the elegant black covers are embossed with the book’s title and feature a subtle and barely contrasting enlarged negative of a detail of a landscape print—the cover for volume one has a bluish cast, while volume two’s is greenish. The mystery and quiet of the covers is echoed in multiple black endsheets printed with blue or green ink. Within the text, full-bleed plates and enormous enlargements that reward minute attention to the varied terrain of Segers’s marks and textures act as an entrée to each essay. The text volume is copiously illustrated, but full pages of text with two monolithic columns of type, small margins and sans-serif type make for visually tough going; section headings in bold do help a bit. The book is printed on a matte stock, though this does not detract from the quality of the plates, which are stunning in their detail and remarkably faithful to the evanescent and nuanced colors of the originals. Designed by Irma Boom, these volumes reflect the sparseness, solemnity and intimacy of the exhibitions’ installations. This landmark scholarly achievement is a credit to all those who worked on it. Segers emerges with his mythic grandeur and mystery still whole, and now, illuminated by these copious analyses and investigations, even more worthy of our marvel and admiration.